Neighbourhood policing is collapsing with officers spending the majority of their shift on response duties and undertaking unprecedented casework. The Police Foundation carried out extensive research, including speaking with officers on the job, who revealed concerns over being dragged away from their core neighbourhood policing roles into responsive work. Withdrawal from their primary functions created a negative impact on community engagement, with reports of some officers spending between 60 and 90 per cent of their duties on response work. One officer explained this had a “massive knock on effect” as they were unable to plan their shifts with the anticipation of disruption. This led to cancelled appointments, thus letting down the public. Another described it as a “parallel world” with conflict between the community, councillors and the force in terms of what is expected of them. HM Inspector of Constabulary Zoe Billingham, speaking as Police Foundation panel member, said HMICFRS had been warning of the downfall of neighbourhood policing since 2013/2014. “We all know response policing that happens to be in a neighbourhood is not neighbourhood policing - it’s not preventative," she said. “We think neighbourhood policing is really important and our definition of it would be preventative policing in communities and with communities to stop crime from happening in the first place, it’s just as simple as that. 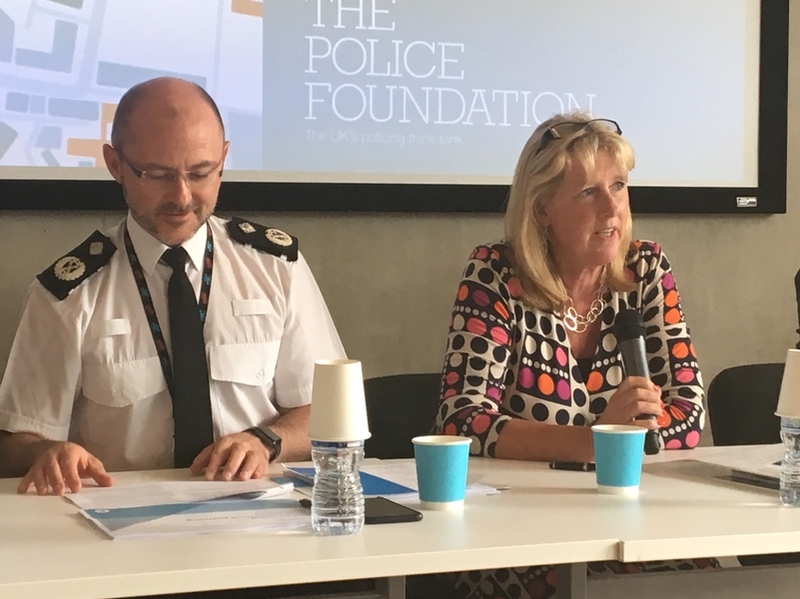 When asked how performance is measured for neighbourhood policing, Ms Billingham said: “We’ve got a very simple measure of assessing neighbourhood policing at the moment and it’s - has the force got it? Is it actually doing prevention activity? PCSOs pushed to the limits of their training by performing elements of incident response and safeguarding/risk assessment work has also been raised as a worry, along with a reported ever-present tension within control rooms – with a need for supervisors to decline certain requests to deal with demand. In response to the findings, the College of Policing will be releasing new guidelines next month, setting out the neighbourhood policing role clearly and conveying what they should be doing on shifts.